Last week, the director of U.S. National Intelligence released a list of books and articles found in Osama bin Laden’s house. Judging by the titles, it didn’t seem likely that the late terror mastermind had checked the books out from the Abbottabad public library. At least not that printout of the congressional hearing on “Project MK Ultra, the CIA’s program of research in behavior modification” — the notorious Manchurian Candidate–style experiments in which unsuspecting military personnel were doped with LSD. Yet that quasi-classified stuff was the least surprising material there. Far more intriguing among the volumes on the late Al Qaeda leader’s nightstand are America’s “War on Terrorism” by Michel Chossudovsky, The Conspirators’ Hierarchy: The Committee of 300 by John Coleman, Crossing the Rubicon by Michael Ruppert, and New Pearl Harbor: Disturbing Questions about the Bush Administration and 9/11 by David Ray Griffin and Richard Falk. 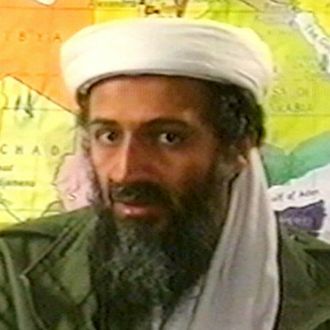 One thing these titles have in common is they all cast doubt on the so-called “official story” of bin Laden’s signature claim to fame — masterminding and financing of the terror attacks on September 11, 2001, the reputed reason the Navy SEALs were dispatched to mete out their brand of nighttime justice. So the question remains: Why would OBL be interested in the mass of speculation and half-proved theories that have driven the ongoing “9/11 was an inside job” conspiracy industry? Ostensibly he, and he alone, would be the one who knew what really happened. On one hand, it is easy enough to imagine the self-appointed leader of the coming Caliphate reacting to the belief that an event as paradigm-shattering as the World Trade Center’s destruction could only have been cooked up by the wily white men of the Bush administration. Bin Laden may have found this position amusing. Or he could have been angry at the purloining of his authorship. Conversely, if you take the position that the buildings were brought down not by 19 barely trained men with box cutters but rather as the result of a “controlled demolition,” bin Laden was perhaps curious about what transpired in his name. From the early anti-Soviet mujahideen days in Peshawar, through the rushed flights of his relatives out of the country after 9/11, to the secret burial at sea, bin Laden’s entire career has struck many as a saga of strained credulity. This bookshelf episode, coming as it does in the wake of the Seymour Hersh/Frontline critique of the federal-issue Zero Dark Thirty narrative, is no different. From the inclusion of the Steve Jackson New World Order role-playing card game based on the works of ultratrickster Robert Anton Wilson and two (!) volumes from noted Muslim extremist Noam Chomsky, the entire list strikes even the barely skeptical as the work of post-Onion cybernauts wagging the governmental dog from a burrow deep beneath the Silk Road. Either that, or some second-level functionary’s notion of what an international terrorist should be reading. Then again, bin Laden, a momma’s boy (his father had more than 50 children but he was his mother’s only son), might have just enjoyed curling up with a hefty, conspiratorial, right-wing libertarian read. Items like Bloodlines of the Illuminati by the convicted bank robber and alleged Christian Identity militia man Fritz Springmeier might have struck the bored, dragooned OBL as a guilty pleasure, with its cartoon characterizations of the Bilderbergian ways of Astor, Dupont, Kennedy, Onassis, Rockefeller, and Rothschild clans, plus Ted Bundy. Ditto The Secrets of the Federal Reserve, by the way-past–Ron Paul, anti-Semitic Ezra Pound coat-holder Eustace Mullins. The works of Antony Sutton, however, offer a more nuanced insight to the princely Saudi’s apparent class ambivalence. Sutton’s 1982 book America’s Secret Establishment (which lists the membership of Yale’s Skull & Bones society) remains a classic of anti-Eastern elitism. But it was books like The Best Enemy Money Can Buy, about how Wall Street financed the rise of the Soviet Union, that got Sutton fired from his chair at Stanford’s Hoover Institute. Bin Laden had that one, too. Probably the most surprising book here, though, is Manly P. Hall’s The Secret Teachings of All Ages. Written in 1928 amid a spiritual uplift in Los Angeles that produced Pentecostalism, Hall, who was 27 then, said his massive 50-chapter omnibus of religious traditions was dedicated to “the proposition that concealed within the emblematic figures, allegories and rituals of the ancients is a secret doctrine concerning the inner mysteries of life.” Densely, floridly written, containing lugubrious discursions on the occultism of Kabbalah, alchemy, tarot, ceremonial magic, neo-Platonic philosophy, Rosicrucianism, and that fav old enemy, Freemasonry, The Secret Teachings of All Ages is one of those books nobody ever finishes. If only Osama had picked it up as a young man, he might have become engrossed in Hall’s thicket and never gotten around to taking on whatever role he played in the death of 3,000 people at the World Trade Center.